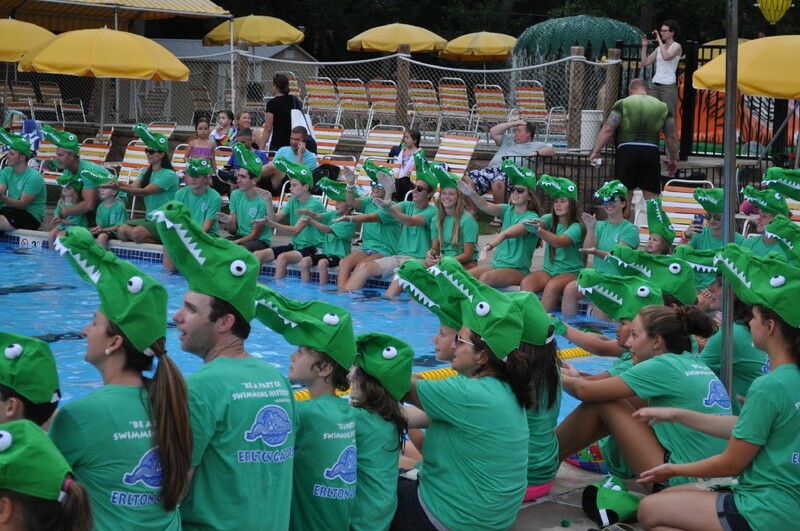 The club had more than 230 participants dressed as alligators to commemorate the club’s history and success. Swimmers, coaches, parents and members of Erlton Swim Club gathered around the pool to celebrate its 50th anniversary. 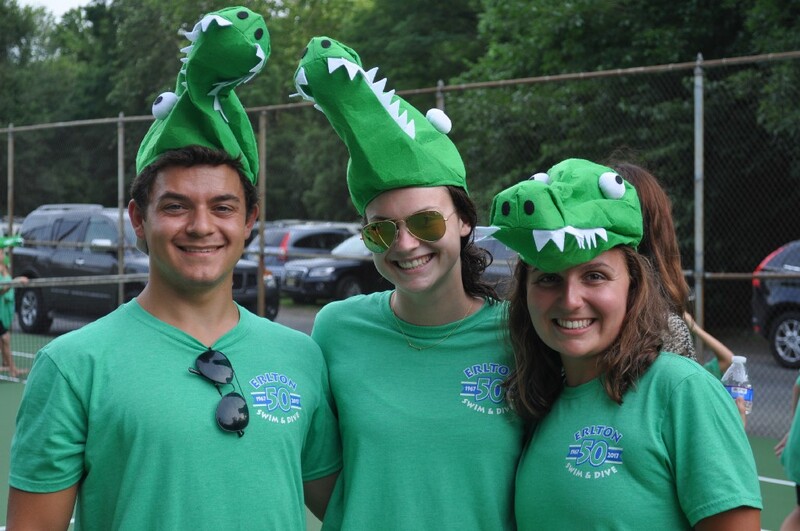 Erlton Swim Club in Cherry Hill transformed into a sea of green gators during its attempt to create a Guinness World Record in honor of the club’s 50th anniversary. 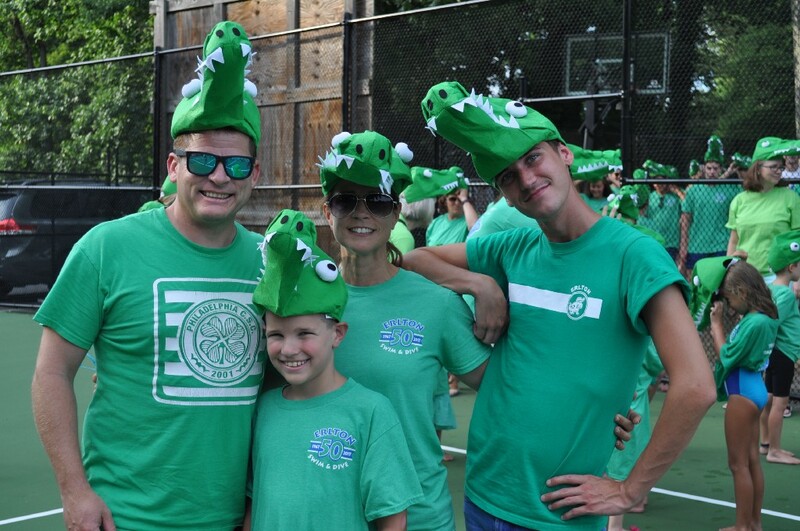 More than 230 swimmers, parents, coaches and club members dressed in green, topped with with a gator hat and gloves, gathered on Friday, July 21 at the swim club to create the first Guinness World Record for number of people dressed as gators, the club’s mascot, in one place at one time. Although the required minimum of 250 was not reached to create the record, coordinator and mom Lisa Begley said the event was more than just about numbers. 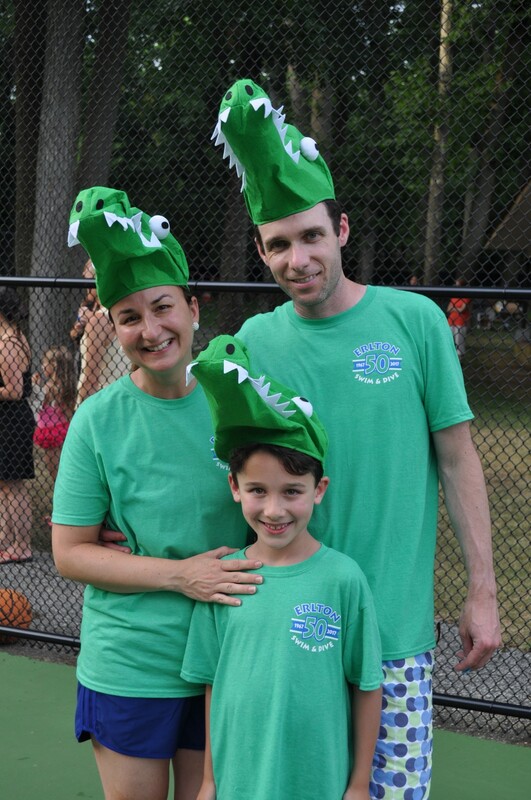 Erlton Swim Club members posed for photos in their gator hats and green attire at the Erlton Swim Club event. Begley said she got the idea of trying for the world record when she heard the club wanted to celebrate 50 years of the swim team in a fun way. Inspired by Al Roker on the Today Show, who traveled across the nation breaking world records on college campuses, Begley said, she thought creating their own world record would be a fun event to do with club members of all ages. 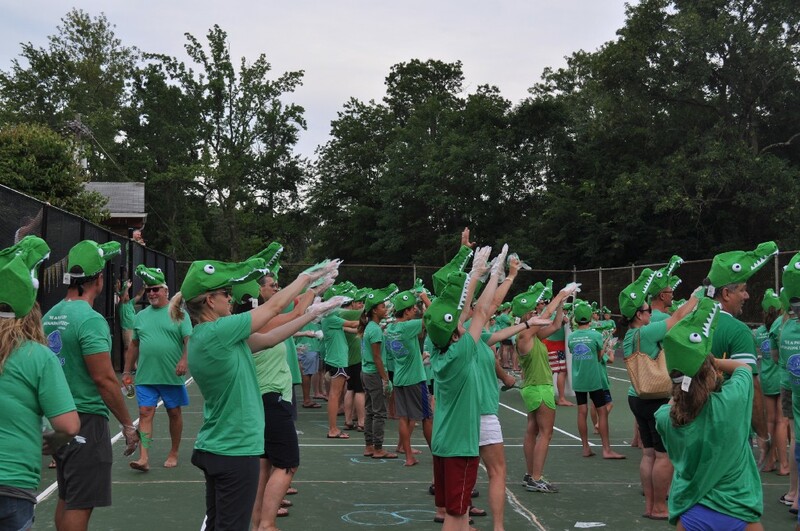 To be counted for the record, participants were required to wear a green shirt, gator hat and gloves, made to look like alligator feet, available for purchase prior to the event. 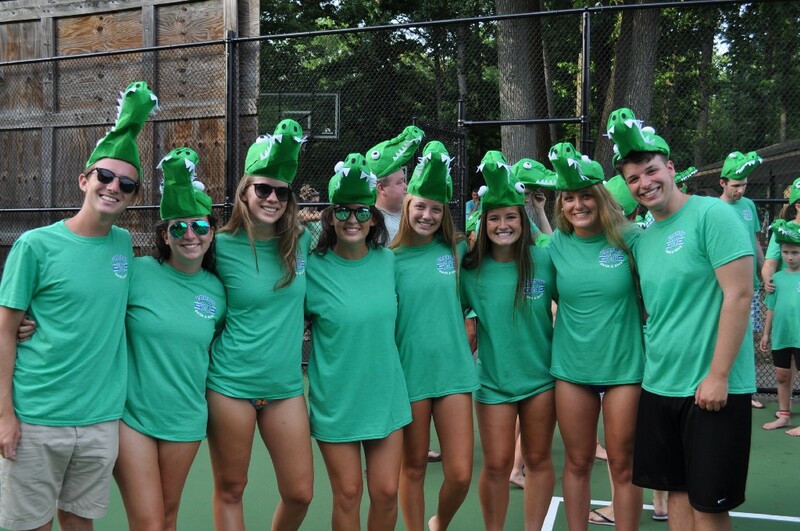 On the day-of, all attendees dressed in their gator gear gathered on the club’s tennis court for photos and documentation to be sent to Guinness World Records. 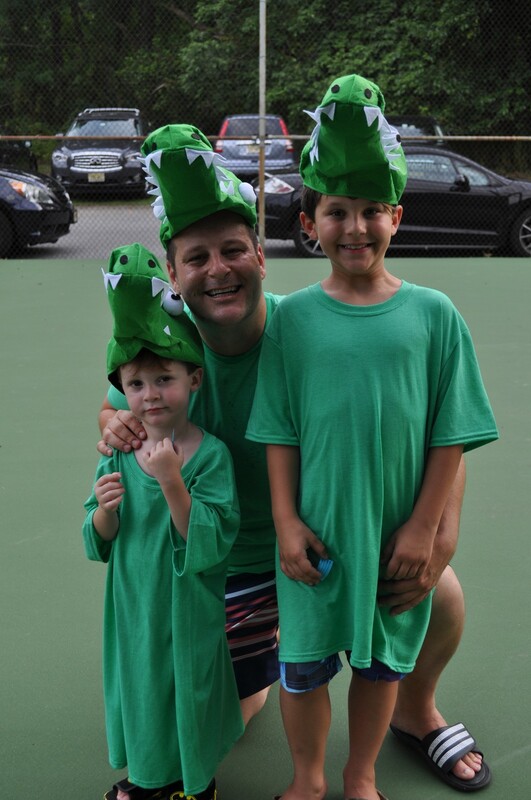 Left: Joei, Graham and Sean Brock, from Haddonfield, stand together in their gator outfits waiting to be let into the counting area. Right: Cherry Hill family Ben, Claudio and Lucas Ricciardi, pose for a photo before the final count of participants in the world record attempt is made. Cherry Hill Councilwoman Carole Roskoph and Councilman Jim Bannar were also on site to celebrate the club’s anniversary, counting each attendee who participated for the record. At the end of the event, participants surrounded the pool to cheer, chant and celebrate the club’s accomplishments and history. Participants make alligator mouths with their hands for a drone photograph, celebrating the event and their accomplishments.